We all have heroes of one sort or another, be it a sports figure, politician (as if), or favorite teacher. My heroes are artists whom I have learned to appreciate over the years (go figure, as an art historian). My greatest joy is the fact that on a weekly basis (sometimes daily) I come to learn about the work and life of various artists of whom I had never heard before. 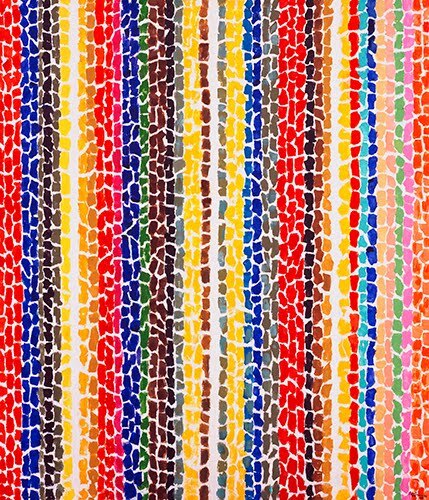 Well, let me tell you, Alma Woodsey Thomas has to be right up there with Claude Monet and Ernst Ludwig Kirchner in my list of artists I absolutely admire, not only for the beauty of their work, but for the story of their life. Obviously I think there’s nothing more important than art education, and Thomas was an art teacher all her life. Like Monet, Thomas explored abstract themes late in life, based on her observations of nature. Needless to say, I think you have to see one of her works in person to appreciate the true complexity of the build up of color. Thomas was the first graduate of Howard University’s newly formed art department in 1924. She taught art to children for thirty-five years, the whole time producing realistic paintings, which she exhibited in shows for black artists. Her works were respected but not acclaimed. 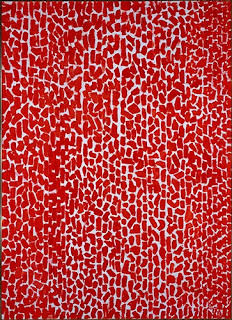 In the 1950s she studied painting at American University and became interested in color and abstract art. At the time Abstract Expressionism held sway in the art world with its emphasis on pure color and dynamic brushwork, as well as fields of unmodulated pure color. Thomas’s interest in color led her to choose Color Field painting, rather than works that represented her African American heritage. Thomas was offered a one-person show at Howard University in 1966 when she was seventy-four years old. Instead of exhibiting her color field paintings with large, flat areas of color, she decided to exhibit paintings that were in a totally new style. She was fascinated by the leaves outside of her window and the way that sunlight coming through them created endless varieties of pattern and color. Her style of mosaic-like color fields was born, including works such as Breeze Rustling through Fall Flowers. Having started showing in her seventies, Thomas became one of the most exhibited African American artists. Red Rose Cantata is another work in the Davis archive you should check out. 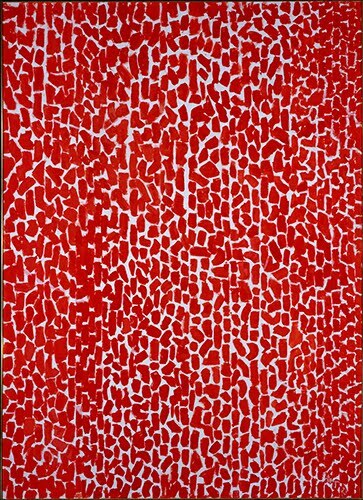 Alma W. Thomas, Red Rose Cantata, 1973. Oil on canvas, 69" x 50" (175.3 x 127 cm). National gallery of Art, Washington, DC. 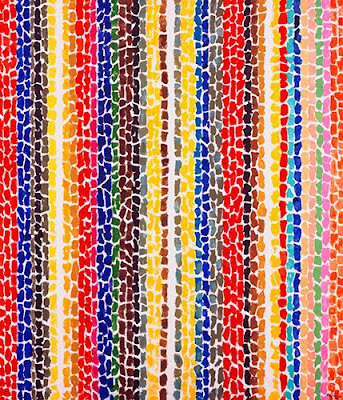 © Estate of Alma Thomas. Who are your art history heroes? I work in Tokoname, Japan. I will come back to your pages again.